While going through my previous posts, I realized that I have completely overlooked this one. It has been sitting in my drafts since November and I think that was around the time I had a couple of posts lined up and had to schedule and re-schedule a lot of them. In any case, this is what I wore to meet up with some friends at the mall. Nothing too fancy. Thank you to Marius for taking these photos! You can also recreate some of my looks over at StyleSays. Basically, they're a website/community that helps you pinpoint similar--if not exactly the same--items with a look you like so that you can purchase them online. You might want to check those out! 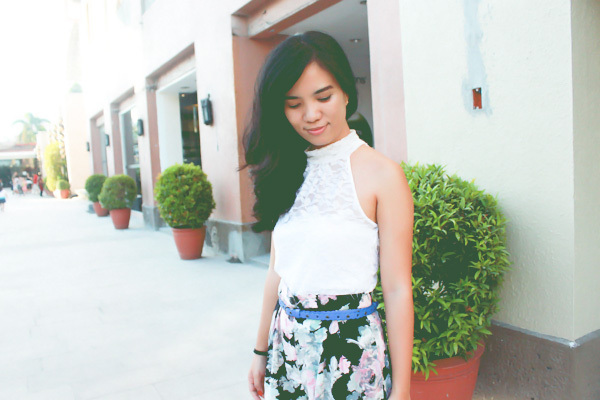 i love seeing lace and floral in one look!